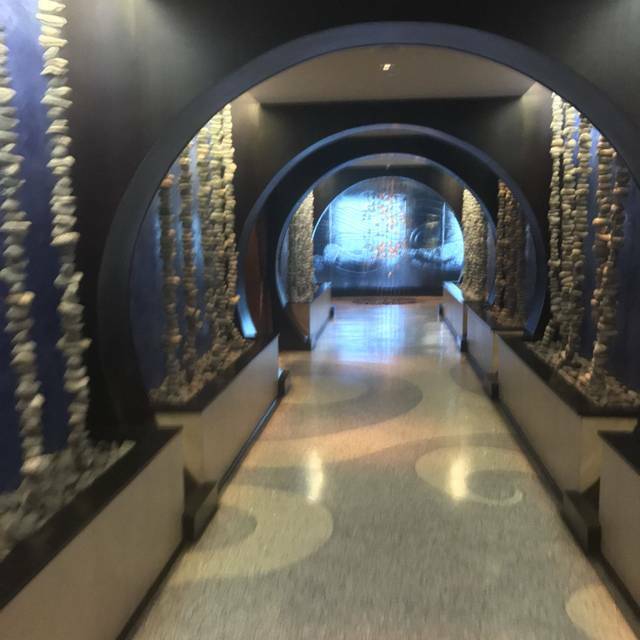 You must make reservations at least 5 minutes in advance of the time at Azurea at One Ocean. From an intimate luncheon to a jubilant soiree, Azurea promises an event to remember. 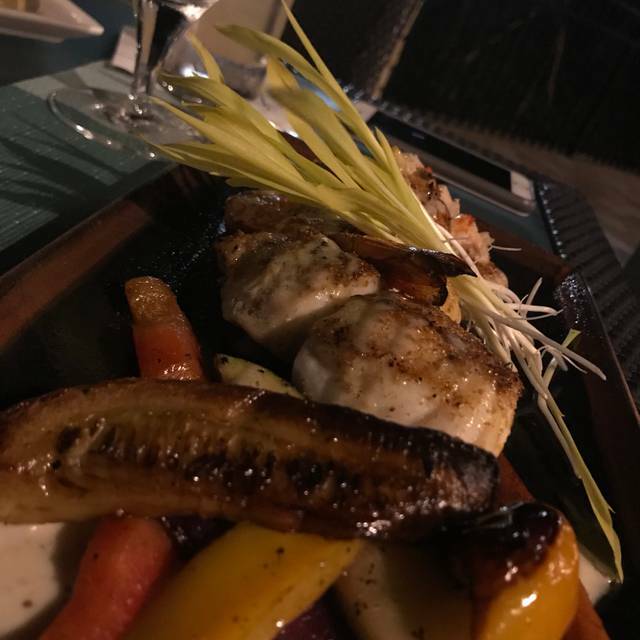 Since its inception, Azurea, the signature restaurant of One Ocean Resort, has established its own food and wine personality, creating a culture of passion and seeking perfection. Azurea remains true to its local surroundings, providing an elegant, artfully inspired atmosphere, where a view of the ocean is accessible from any seat in the house. Dress Attire: Business Casual-DINNER- Dress shorts or pants. Closed toed dress shoes for men. Collared shirts for men. No T-shirts, flip flops, tennis shoes, jeans with holes or jean shorts are permitted in the dining room. Under the direction of our highly acclaimed Food & Beverage Team, the restaurant has quickly become a “must experience” destination for discerning diners. Azurea showcases the area’s cuisine movement with an eclectic tribute to the flavors of Europe, the Caribbean and the Americas. The menu changes with each season, representing the latest trends and the finest ingredients. Please join us at Azurea to Celebrate Mother's Day with your family! Went here for Easter dinner. Cheeseburger and chicken fingers for my kids. That was very good. My husband ordered the steak, came out raw. It was sent back but it was rushed. Outside burnt and inside still not cooked right. I had asked just to get him a burger cause my son's was excellent. They said the burger would take longer than the steak? Well I wish he got the burger cause he left hungry. I got the seabass. It was ok, nothing to rave about. My dad got the pork tenderloin, again just ok. Desserts were just ok. They did remove the steak off the order but I still don't think we will be back. Too many other great places to try. This was so expensive and again nothing to rave about. Easter dinner with family. Anita was above expectations with superb service and great recommendations. She did the unexpected with dessert for our grandson. Nothing was less than we expected and the food was delicious. We will be back. Best celebration venue in Jacksonville’s beach community. A beautiful restaurant with first class service. Perfect for a special occasion. We really enjoyed the whole experience. The food was excellent with many special twists that made for an exciting meal. The service was impeccable. We felt very well attended and the flow of the meal was perfect. I rarely go out for a fancy dinner, but this was one of the best experiences I had. The courses are made with care and I believe all of them are all locally made/grown (big plus here). The service is phenomenal because my waitress, Hannah was someone who tended to my needs when asked for. I’m grateful for her because there was a drink I got that I did not like and she recommended a drink that she thought I’d like instead and I loved the dragon berry rum cocktail that I had. I also really enjoyed my main course scallops! They were so tender and juicy filled with flavor that you just have to try it. I definitely recommend this place because they do care and they want you to feel welcome. We were very satisfied with our dining experience. The staff was very accommodating and are serving was outstanding. She made us feel right at home and explained everything to us. Totally would return here for a future endeavor. Thanks to the staff for signing the birthday card and setting the table with the flowers. Thanks Azurea! Hannah was amazing!!! The food was delicious, especially the desserts!!! Sunday brunch. Nice ocean view, good food and service. Shrimp and scallops good but not outstanding like previous scallops meal. Eggs Benedict on crab cake and muffin was fine--not outstanding. Consider changing the annoying music--maybe classical or jazz. So overall a more or less satisfactory experience, but given the price, some room for improvement. Excellent food! It may have been the best sea bass ever! Very classy restaurant with great food, atmosphere and service! And just steps from the ocean. Once again we had a great meal with the outstanding server Tiffany! Truly outer favorite restaurant! Enjoyed a mother daughter lunch today at One Ocean, Azurea. 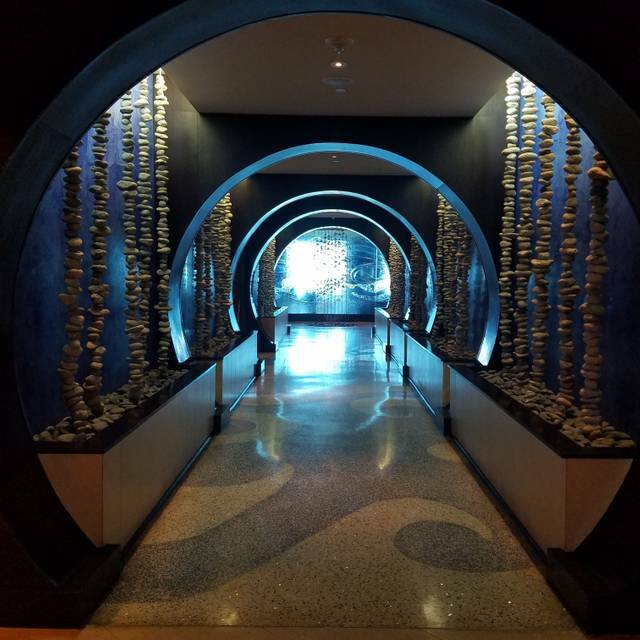 The restaurant is so elegant and has beautiful touches of the sea for the decor. We ordered pan fried calamari for starter and it was served crisp and plentiful with a yummy sauce. The bread and butter was heaven! I loved my fresh catch grouper tacos and my daughter ordered the crispy chicken thigh with Zucchini fries... an all time favorite!! Our waiter was attentive and helpful, very friendly too! The only downer was the rain, which kept us indoors and not seated near the sand...We will come back when the sun returns!! Waitress did not seem 100% on point for the evening. Not too attentive between table visits. Seemed over loaded. I ordered the Red Snapper and received The Halibut. When advising the cook staff who delivered the order to table, that person try to "sell me" on keeping the Halibut. I advised I wanted what I ordered and then she proceeded to say she had to go double check with thew waitress to make sure that's what I ordered, along with saying it will take another 6-7 minutes to now prepare. Totally not acceptable and was unprofessional. She should have apologized and proceeded with getting the error corrected! Not sure I would dine her again. Our server was Hannah and she was amazing. Very knowledgeable and professional, a perfect fine dining Server. We were celebrating our 28th wedding anniversary and she made it very memorable and her dish selection recommendations were great! The grilled octopus was incredible! Thoroughly enjoyed the experience. I will be back. Fantastic meal and great service. Took two hours for brunch. Service was VERY slow. Think they forgot to put our order in. Nothing special about the food. Service is slow every time I've been there. This was our first time having dinner at Azurea and it was top notch! Hannah, our server, went above and beyond. She gave excellent recommendations and made sure we had the best experience. We have had drinks there many times but the food is spectacular and we will definitely be back! Especially for the Grilled Octopus and Gouda Mac and cheese. So good. Food was over cooked and dry. One of the best restaurants in Jax. Great service, food, and with a view of the ocean. Can't beat it! The food, the service, the lovely banquette and the view were outstanding as usual. A large group in the end of the room were extremely loud, and there is no noise absorption by carpeting, wood or fabric panels to absorb, so that conversation dominated the dining area. There is room for one these treatments or a screen with plants maybe. This has happened before for me here. It is just too lovely a restaurant to allow poor behaviors by a few destroy the setting, and a quiet conversation for my friend and me was impossible. Our server Anita was awesome and really made our experience great! Great place for that special occasion dinner! The restaurant is beautiful and offers beautiful views. The service is also wonderful and they go above and beyond to make sure the customer is happy. I ordered a martini while waiting for a friend, but it came out 14 minutes later-the exact same time my friend arrived. I understand this was not the servers fault and he kept apologizing about the delay. Unfortunately, after all of that, I sent it back because the martini glass has a very “unclean” smell. The server and manager very gracious and exchanged it for a glass of AMAZING Chardonnay. Both were also very knowledgeable of the menu and wine list. The food was overall not the best-we didn’t even eat our ceviche appetizer because it tasted like vinegar. However we were too embarrassed to send it back after the martini incident at the beginning. Our main courses came out and the chicken thigh dish was amazing and full of flavor. The kale salad that accompanied it was bland and had no flavor. The skirt steak was cooked perfectly and had a beautiful presentation. Unfortunately, the meat didn’t taste as good as it looked-not seasoned and also bland. Overall, we love this place but will only go back to the bar for wine and cocktails. For the price, I expected to love the food much more than I did. 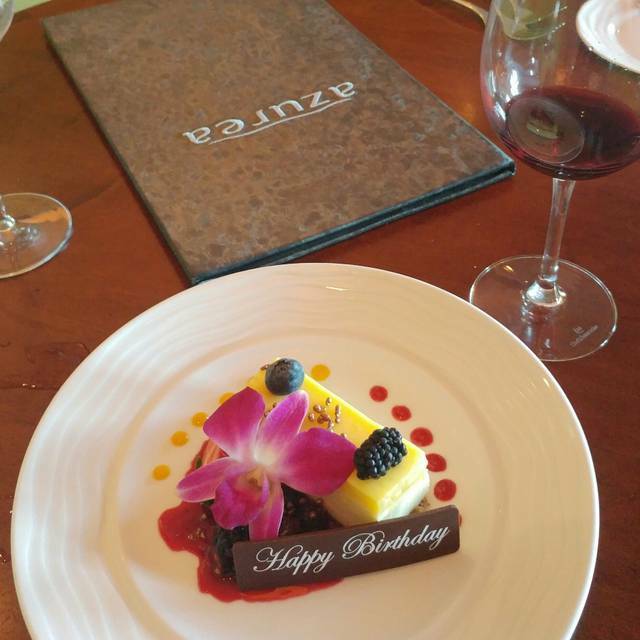 Birthday one Ocean is our favorite neighborhood restaurant to celebrate special occasions. We can always depend on the best of everything! My wife and I don't ordinarily frequent resort based restaurants, with the exception of the Broadmoor when we're at our place outside Colorado Springs for half the year. 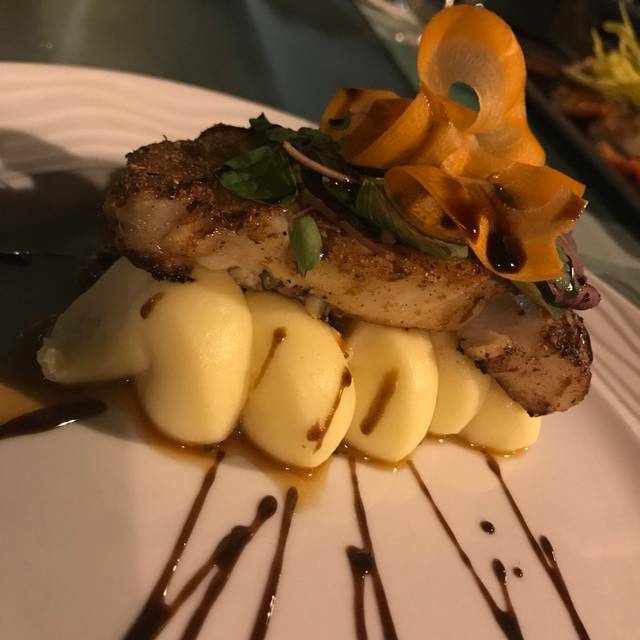 However, since we had been to almost all of the OpenTable restaurants in the St Augustine area, where we live half the year, we decided to take a chance and booked a reward reservation at Azurea at the One Ocean resort up the road from us in Neptune Beach. First, the resort itself is very nice, and is right on the beach. 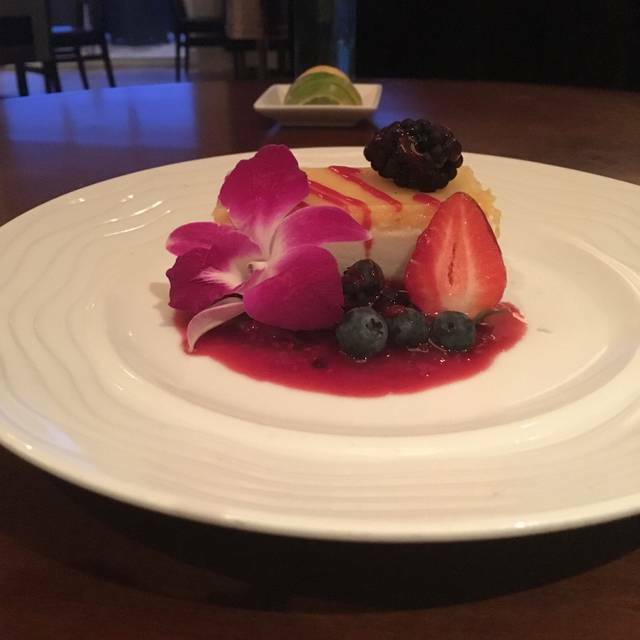 Azurea is absolutely one of the best restaurants at which we have eaten. The staff was terrific, and the food couldn't have been better prepared. 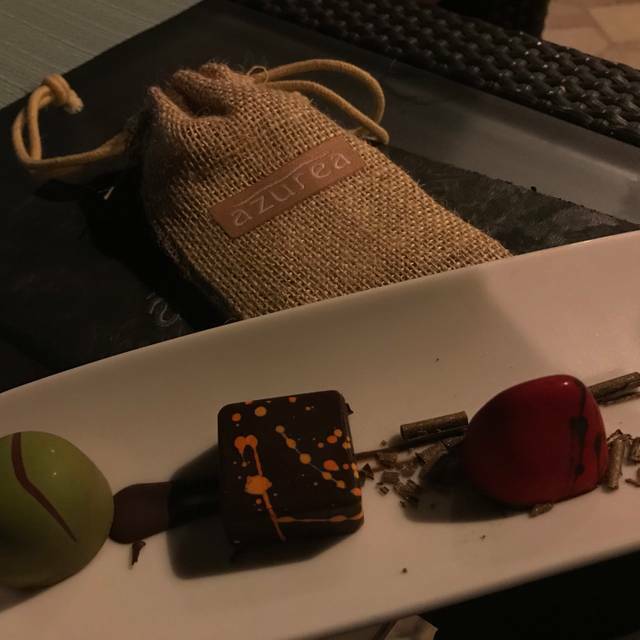 Great innovative and seasonal menu, and Chef Mendoza came out to the table to make sure that we were being well taken care of by his staff. 5 stars on all aspects. We'll be back frequently. We celebrated my wife's birthday and we were given a table at the patio , ambiance was great ,and it is oceanfront but it's kind of hard to see the ocean when you sit down because of the sand hill. It would be great if there was 2nd floor. My wife had salmon it was good but kind of dry and I had snapper , it was really nice. Absolutely loved the entire experience especially the attentiveness of Anita...she was great! Food was delicious, hats off to the chef! Spent our 25 th anniversary there. Everything was great they took care of us and provided many fabulous dishes. The duck and octopus appetizer’s where great. The corking fee is a little high at $25 per bottle but they did exactly as we asked. They gave us 4 desserts for our treat at the end. Great experience great servers and management. This a is beautiful restaurant and the food and the staff were amazing. Had a great evening, highly recommend you try Azurea. I really like this restaurant. The food is really good. The atmosphere is great. And the service is awesome. The only complaint that I have is that it is way too overpriced. The food is good but not that good for it to be that expensive. I would definitely recommend it for drinks because it is a really fun atmosphere. Took my girlfriend there for a fabulous birthday luncheon. Tiffany was our fabulous extremely knowledgeable waitress. Her attention to detail is flawless. 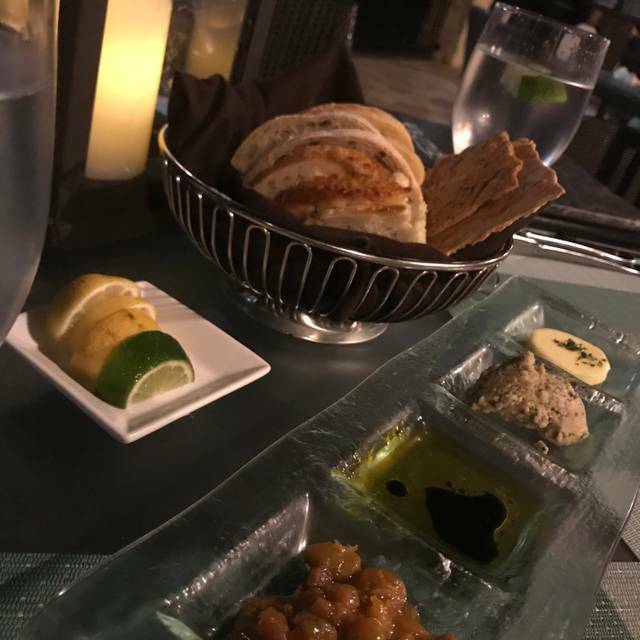 We started with the pear onion flatbread that was out of this world I highly recommend it great app to start with and share plenty big enough. I had the lobster minus the bun and substituted salad it was delicious. The other ladies had the grouper open face taco style dish which they loved. Dessert was beautiful and delicious! 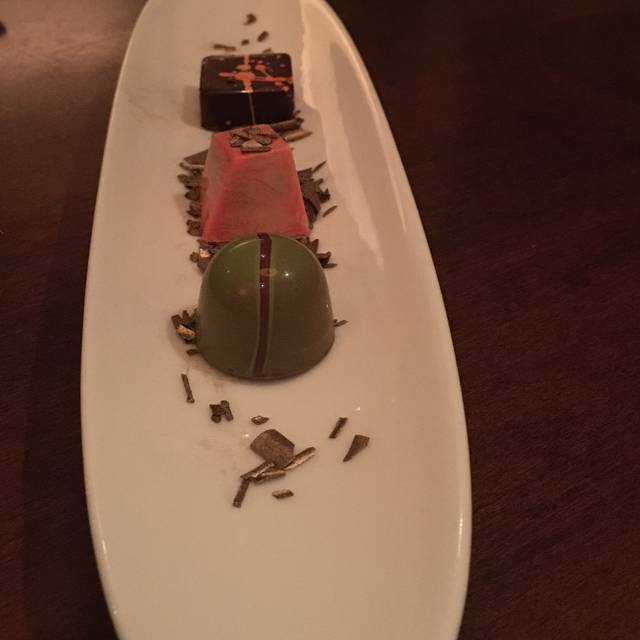 We had the chocolate dessert! I highly recommend this restaurant it is beautiful, the view spectacular, and the food delicious! And the service amazing! Thank you Tiffany for doing an amazing job! Once again an amazing lunch with a Spectacular Waitress; Tiffany! She goes above and beyond to make your dining experience over the top. Her attention to detail is flawless. Our new favorite restaurant!